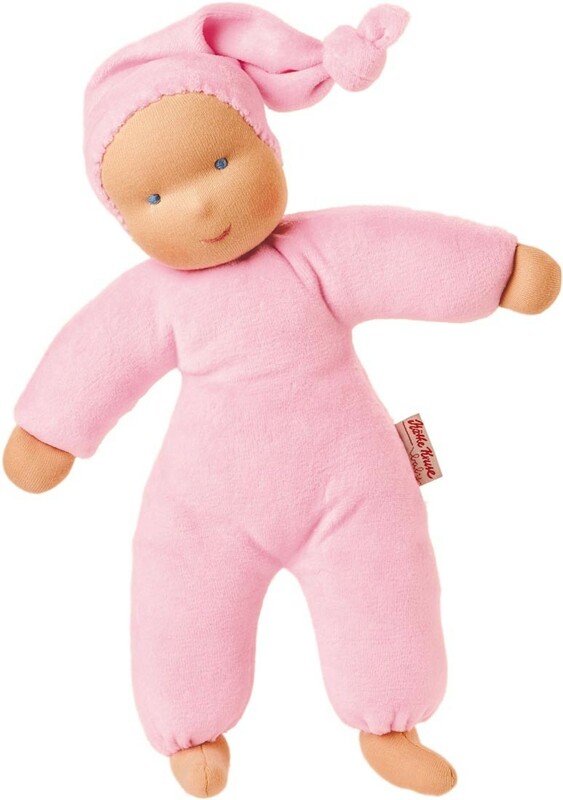 The organic Waldorf pink Schatzi doll is individually handcrafted with natural materials and she has a soft cotton body, a matching knotted hat, and is stuffed with fiberfill. 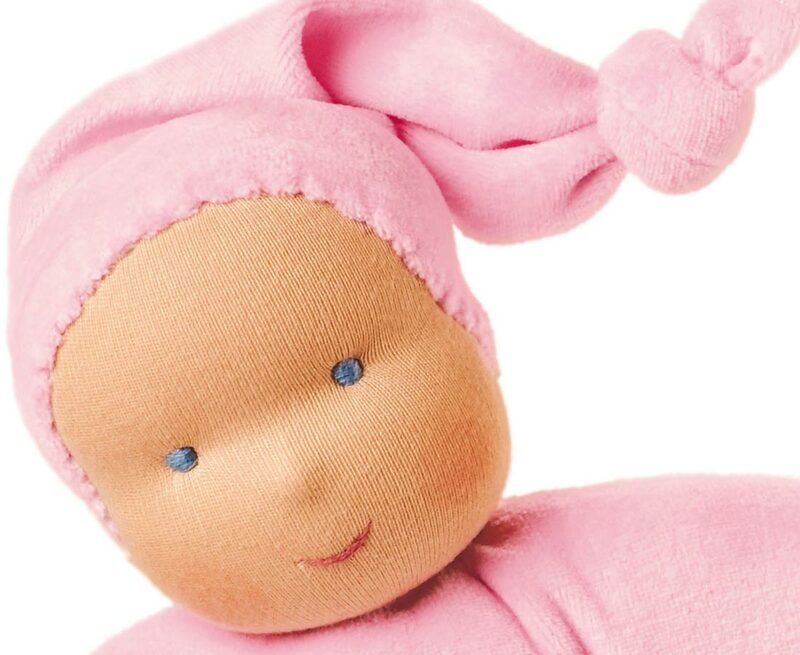 The facial features are hand stitched. 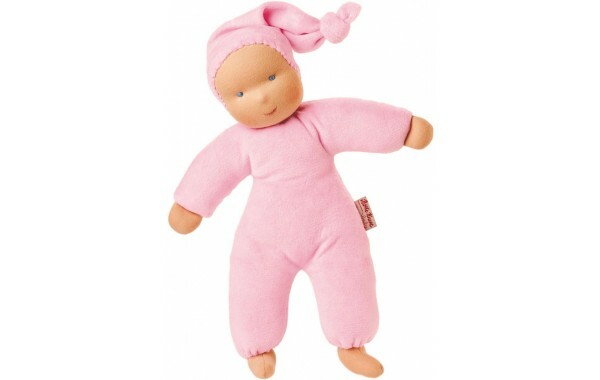 Her neutral features help to develop a child's imagination to see the doll laugh, cry, sleep, be sad or happy. All cotton materials come from biologically controlled farms and all materials are antiallergic. 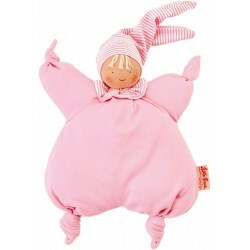 The organic pink Schatzi doll is a healthy and safe companion for your newborn.